Eshcon helped Roffey Park transition its EMS to ISO 14001:2015, with a Gap Analysis, updating the system & then supporting the certification audit. Roffey Park Institute is an internationally renowned leadership institute based in West Sussex, operating across the UK and in Singapore. Roffey Park has had an Environmental Management System (EMS) in place for a number of years and was certified to ISO 14001:2004. There had been a change of staff, particularly those leading on the EMS so it was important to ensure all elements of the system were properly covered. Work started with a Gap Analysis to identify where the EMS needed to change. This gave a RAG-rating for each issue and a transition plan, with actions & timescales.  Eshcon then worked with the ISOe Group on the transition work, starting with a workshop on context, risks, opportunities, interested parties, lifecycle & the company’s strategic direction. The EMS itself was revised & streamlined; as well as make the required updates, the EMS core documentation was rewritten, including policy, manual, aspects & compliance registers, plus key procedures. Further consideration was made to objectives & new targets (with associated data requirements), communicating with interested parties and evaluation of compliance. Eshcon then conducted the annual internal EMS audit, considering operational & behavioural issues, not just procedural & documentation. 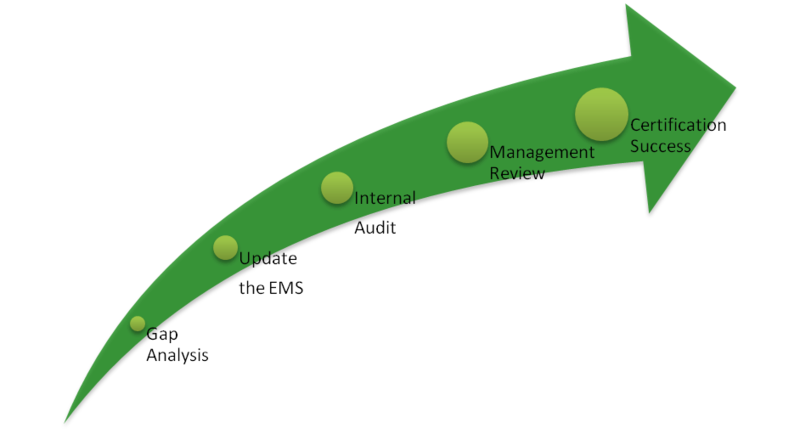 The audit was tailored to the organisation, taking into account its size, complexity & scale of environmental aspects. Improvement actions identified to address any non-conformities were useful, relevant & achievable. Roffey Park’s key EMS achievements during the year included paper usage down by 22%, electricity by 16% and oil consumption had fallen dramatically since the installation of a ground source heat pump. The extensive grounds were well managed and the kitchen garden even grew fruit and veg for the restaurant. Following the Management Review, Eshcon also attended the certification audit, providing a guide through the day & answering the auditor’s questions. 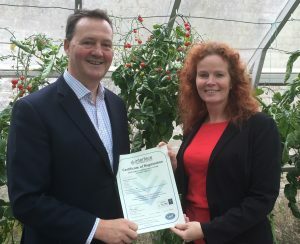 Roffey Park achieved ISO 14001 certification, with no non-conformities. Managed the certification audit to ensure all the questions were answered satisfactorily. “Our ISO 14001 certification audit was looming & we realised we needed support to get back on track. Anya took us through the transition process, highlighting where we needed to focus & helping engage with key personnel. With a change of staff who led on the EMS this year, it was important that the project ran smoothly, was interesting and rewarding. For more Case Studies and Information Sheets, please see the Resource Centre.